Deanna welcomes the chance to meet book clubs, students, and other reading groups. If you’d like to schedule a visit, in-person in the New York area or via phone/Skype, please send an email. How do you think Fei’s background as a novelist influenced this book? Fei spends significant time grappling with maternal guilt that she couldn’t “hold on” to Mila for a full term pregnancy. How do you think you would feel in a similar situation? Where do you think the turning point for Fei was in vanquishing her doubts about the heroic measures used to treat her daughter? Fei and her husband learn that the nurse’s upbeat response is hospital policy following a premature birth. What are your thoughts on this policy? For you, what was the most frightening prospect facing Mila in her first months? Why? 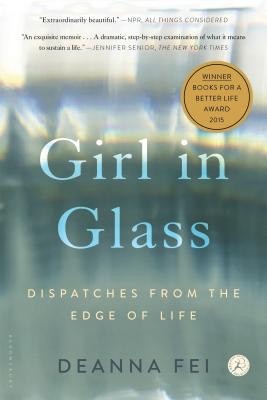 Did Girl in Glass influence your views or expectations about prenatal and neonatal care? Why or why not? How, if at all, has the book altered your perception of pregnancy and parenthood? 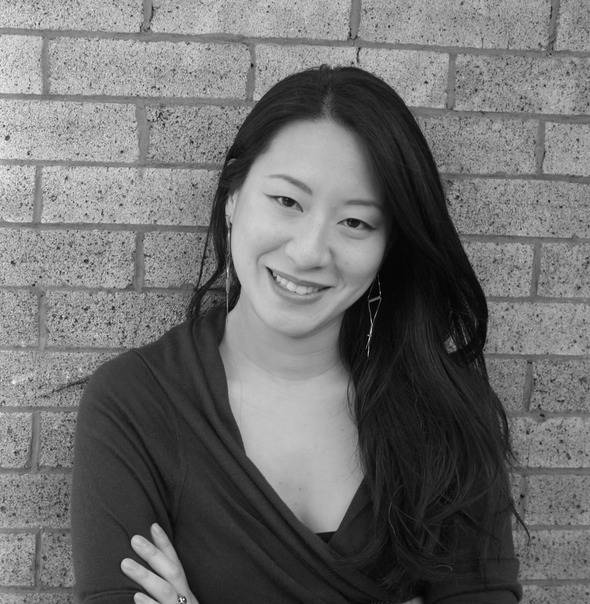 What can all parents learn from Fei’s story? Suggested Reading: Deanna Fei, A Thread of Sky; Andrew Solomon, Far from the Tree; Elizabeth McCracken, An Exact Replica of a Figment of My Imagination; Anne Lamott, Operating Instructions; Paul Kalanithi, When Breath Becomes Air. Check out the Penguin Reading Group Guide for A THREAD OF SKY, with an exclusive author Q&A and discussion questions. 1.One of Irene's motivations for planning this tour of China is to recapture a more traditional definition of family: "Jia—family, house, home. In Chinese, it was all one word" (p. 12). Does she come close to succeeding? Is it possible to adapt this concept to modern life? How do you define family? What cultural traditions influence your definition? 2.In A Thread of Sky, this family reunion during a tour of China exposes long-simmering tensions and old, painful secrets. How does it compare with memorable family reunions of your own? How have those occasions changed your understanding of your loved ones? 3.Lin Yulan is fixated on the importance of leaving a legacy, an expectation she has passed onto her daughters and granddaughters. Do you agree with her? Was it an appropriate choice for Irene to give up her career? What if you knew that she was on the brink of a major breakthrough, one that would have saved millions of lives, when she got pregnant with Sophie? Would that change your opinion? 4.For Kay, at least in the beginning of the novel, China is all about suffering. She chooses the less comfortable dormitory. She thrives on immersing herself in social problems. Are her efforts misguided? In what ways is her work similar or different to Lin Yulan's work earlier in her life? Is it appropriate for visitors to try and get involved in what they believe to be a cultural wrong even if the "victims" don't want help? Have you ever engaged in similar types of activism? What challenges did you face? 5.The women in this family have felt considerable pressure to define themselves as strong, independent, ambitious women. What toll has this taken on their personal lives? How do you define a strong woman? Do you think it's possible to take that identity too far? 6.All six characters in A Thread of Sky set out on this journey with a multitude of hopes and expectations: to reconnect with one another, to remember family history, to leave heartbreak behind, to be transported by China's famous sights, to find a moment to "simply be." What do you think will stay with them? What do you seek when you travel? What do you try to carry back home?